Let's get straight to the point: did you know that one of the ultimate outcomes of conducting social listening is boosted sales and increased ROI? Yes, indeed, with every counted and analyzed mention, your brand is one step closer to a better user and customer experience, a more satisfied audience and happier customers, truly lovable and useful content, and overall smarter product decisions and wiser market strategies. Imagine that social monitoring is convenience food, while social listening is the ingredients list of a recipe. Poor little social media listening has one big issue. Many content marketers easily mix social monitoring with social listening, although they are not interchangeable. So, open your eyes wide and follow us closely. This article is not about brand monitoring but brand and social listening, which translates as what is beyond receiving notifications about your brand mentions, what you should do with those, what the next steps would be, or how you should use that information to benefit your brand the most. 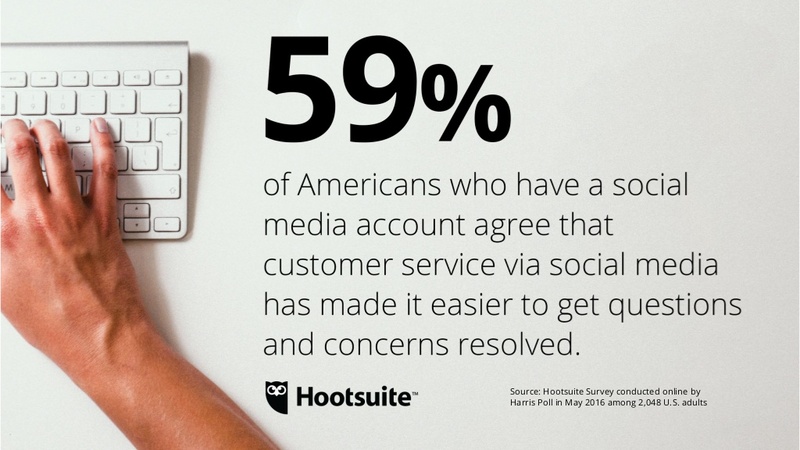 Statistics reveal that about 59% of Americans who use social media consider that social customer service has facilitated a faster and more efficient customer complaint management. Tracking your mentions is very important but you need to look at the bigger picture, the context, and the trends to understand what your customers want and provide them that. Social media overflows with consumer information - this is a huge opportunity. You need to listen and deliver what they need and want the most. But too much talk ruins it, so we'll get straight to the business and give you a complete guide-through on everything social listening is following the pattern of the renowned TV-show "How it's made". Ladies and gents, this is how social listening is made. Social listening refers to searching and checking all or key conversations happening on social media that mention your brand, product, name, or various terms defining the industry you activate in, and analyze, interpret, and eventually apply the newly-gained insight into your marketing strategy. In a sea of social monitoring and social listening tools, Brandmentions.com promise to dig every corner of the internet to find all relevant web and social mentions about anyone and anything. And, it also offers social listening features, besides those related to social monitoring. Oh, snap! we bumped into social monitoring again. Well, we'd better tell the whole tale. Social monitoring is tracking all brand mentions coming from various social media activities and the world wide web. Although it isn't the same thing with social listening, they are somewhat similar and work best when walking hand in hand. Twitter has over 25 billion social interactions a day from various parts of the world and is engaging different users with different needs. Social listening goes beyond monitoring and replying to incoming questions or comments about your brand. It’s about extracting key insights from social conversations that you can apply to your overall strategy. Were you to apply social monitoring solely, you would take notice of these engagements and either reply, react with a like/share, or escalate the message to the department who that can best handle that issue (sales, support etc). And this a job well done. But were you to also apply social listening, you'd gather all the pieces of information, analyze them objectively, see the bigger picture behind all that online talk, and then use the newly-gained insight into your social strategy. And this is a top-notch job! Social listening doesn't like being fed with breadcrumbs but indulges with the whole goodie. It looks for patterns, for similarities. And because the social and online marketing strategy gives a hard time to content marketers since... forever, they have to seek the best recipe in winning both types of audiences: their customers and those who want to or might become customers. Social monitoring looks at a one-off solution, customer service, and that’s it, while social listening seeks to find an antidote that would solve all present and future issues, similar to the R&D (Research and Development) teams. Listen with the intent to understand, not to reply. The biggest ace social media listening has is that it can especially address the bigger issues while filtering the one-off ones. The latter can easily be solved by applying templates or things like that. And this is thanks to the fact that social listening (along with social monitoring) gives you a top view over your target audience, customers, products, and competitors. If you still wonder why social listening is important, here are 7 reasons why you should focus on social listening and upgrade your marketing game. Social listening allows you to track and get in touch with your customers, identify influencers and key advocates in your industry while giving you the chance to expose your brand better and also gain valuable insights about them and the way they perceive you in comparison to your competitors. By getting to know your target audience better, you can both tend to their needs better and position your brand better in an already crowded market space. Get to know your customers' core interests and create products that will meet their exact needs and desires. By using a good social listening tool, you'll know where to promote your products and find new customers. By knowing when and where to solve problems, you'll attract new customers easier than when using other means. Social listening helps you uncover the platforms where your community hangs out the most and know what type of content they need the most, hence improve your customer experience. Monitoring your brand health is... well, healthy. Social media is where people express their feelings the easiest, the most natural, and without any barriers, so that's the place where you can truly learn how your product is really perceived on the market. 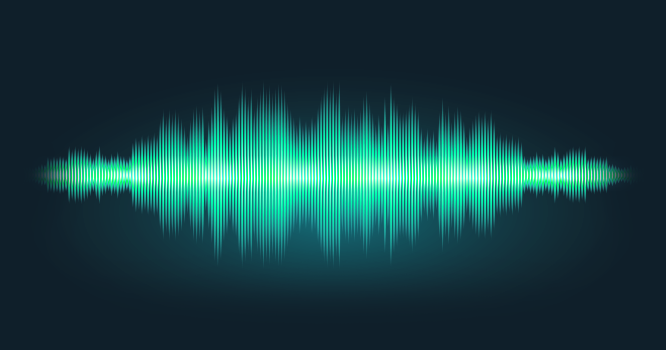 Social listening gives you a bird’s eye view over the conversations, mentions, and sentiment around your brand - see what trend they follow and craft your content accordingly. By engaging with your audience, you not only improve customer care, but also get feedback on products, expert advice, and recommendations - all these sketching new ideas for your product and opportunities to drive innovation. This way your marketing and sales team will be able to take a better and smarter product decision and play with new ideas for your future marketing campaigns. By frequently deploying social listening, you actually buy yourself lifetime customers. Listen to your target audience and users whenever you want, wherever you are, as brand monitoring and listening tools can be enjoyed on all digital outlets. Get intimate with your audience and let them know you’re there, knowing about either their complaints or their appreciation. The need for listening grows in proportion with your brand growth. Deliver content to your audience that they actually need and love. Besides your verbal communication skills, you need to also count on social listening tactics and sense, as this is a magic ingredient that makes a social strategy truly successful - reaching the right group of people, at the right time and in the right place. Listen to the sweet and sour talk on social media and take wise actions. BrandMentions is one of those social listening tools offering sentiment analysis features. Use it to see what message conversations in the social space are sending about/to you. Just like in that song "Where's the love?" from Black Eyed Peas, our tool can help you see where your brand is lovable and where is not. Monitor everything that is being said about your company, product, or competitors on all the channels that matter, be it web or social media. It's better to pay attention to both as they both are equally important in Google's eyes. BrandMentions and other tools have already set their features to constantly keep you up to date with everything important in your market and anything connected to your company, making it possible by providing real-time alerts straight to your inbox. There are numerous ways to identify and uncover your competitors' strategies with a brand mention audit and proper social media listening. All you need to do is to use a suitable social monitoring tool and start playing hard. It's pretty obvious that if you tend to your customers closely, satisfy their needs, be active on social platforms, dig your competitors' strategies and outrun them, your brand will most probably notice boosted sales and increased ROI. So that's why the magic ingredient in your marketing strategy should, without any doubt, be social listening. It's giving you so much power, balance, and control over your brand and company that is almost impossible to resist. Great things never come from comfort zones, said once Nathan Ellering from CoSchedule in an email. Nothing meets change until you whole-heartedly and proactively influence it. And this is exactly what social monitoring is. Social listening should mean more to you than just reading little or big pieces of content that mention you on social profiles, blogs, forums, or online news outlets. Understand why this is happening. Whatever snag you're hitting, you'll be successful if you remember that social listening is no art and science. It's just practice and willingness to invest time and thinking into interpreting raw data from social monitoring. It's about you learning how to capitalize on your mentions and make your brand thrive thanks to knowing how to interpret them. 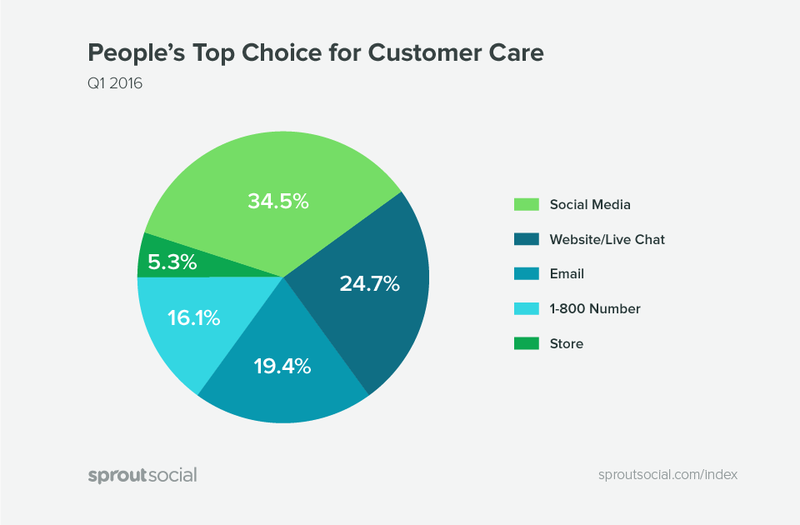 When doing social listening, many focus on customer support and experience only. The wiser move would be to step back and analyze what’s going on - it’s better to do this periodically, and try to read your customer’s behavior - do it in a KPI meeting. For example, if you have a bunch of negative reviews or posts about your brand, besides noticing the negativism, you could also see how big the impact is on your audiences and eventually take a survey in order to find the right antidote to the whole issue. Poor or infrequent content hardly ever converts or impresses a reader. Besides, you’ll only attract poor-quality to no links too, instead of getting referred to by prestigious and influential webpages or influencers across the globe. Whether you like it or not, the principle "birds of a feather flock together" applies to social listening too. Deliver content your audience actually needs and loves; I'm sure you've heard that content is king, along with context, who matters a lot to Google and rankings. Brand Mentions provides a performance score, calculated on the number of shares and the page’s influence, so you can judge where you should focus on sharing your content the most. Most leading social platforms have their own algorithm of ranking posts, regardless of shares, profile influence, or privacy settings. 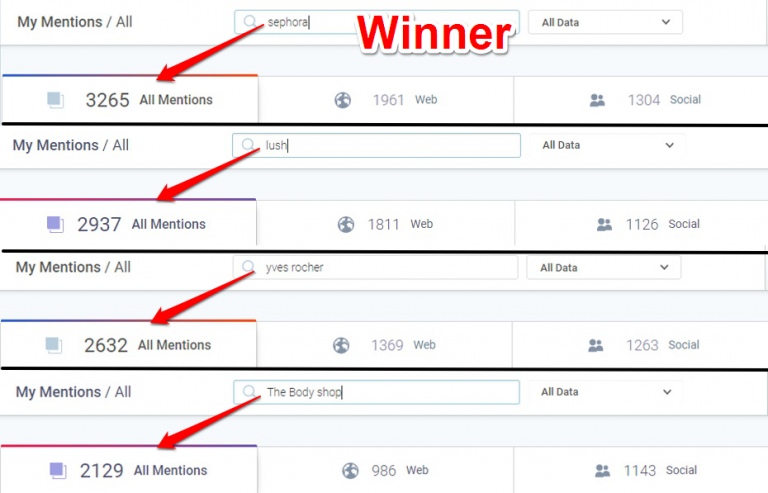 Make your research, apply the newly-gained tips, experiment with content, and try a mix of keywords and hashtags to win the secret formula of ranking high. Go beyond customer care with social listening. Mind the pain points; people will give it special attention as it might hold the key to their issues and, eventually, to their heart. Monitor terms like “[competitor’s brand name] can’t” or “[your brand name] won’t” to identify pain points. Provide them with the solution and you'll be their hero. Check related phrases, ideas, keywords (such as wishes or solutions): these might generate new ideas for future marketing campaigns and re-establish your bond with your customer. Capitalize on UGC (user generated content). Did you know you can nail your promo strategy by using your audience's very own words (those that are popular)? Customers get proactive in sharing their opinion about your brand when seeing that you listen, connect with them for real, and respond to their needs. Truly, social listening is something special: although it has the power, it doesn’t necessarily invite you to ask your customers what they want, but rather to listen in on their talks, opinions, and conversations and figure out what they actually appreciate and crave for. Happy, "full-belly" customers are one of the greatest marketing resources. Here's another idea on how to use social monitoring data for social listening: once you sent an important product lunch or update, monitor the link or the title of your press release to discover who's sharing it across social channels. This way you kill two (if not more) birds with one stone: you gain insightful data on how successful your announcement has been, and also identify key influencers in your industry. Reach out to them, start building relationships, get their help, and reward them. There are numerous social monitoring and social listening tools out there, paid or free, simple or intricate, user-friendly or outdated. See what keywords, hashtags, emojis, and topics your targeted audience use when mentioning your brand or is connecting to you. Speak the language of your audience and, where necessary, identify missteps in real time. Don't mix social monitoring with social listening, but always use them together. Listening looks for the cause, while monitoring looks to solve one more case. Monitoring counts every mention about anyone and anything, while listening requires analysis and a top view. Social listening can be that goldfish that grants you three or more wishes - all you need to do is know the right moves in a social listening strategy and how to use the social monitoring data to the maximum. And we already did your homework. Eva Nastrut Eva is a happy BrandMentions content writer, obsessed with innovation and passionate about playing with words and long phrases. Outside of the writing lab, she's known for being a relentless cyclist, board game aficionado, sports enthusiast, and she's head over heels for reading novels, cooking, and eating delicious food.